Selvavision believes in the power of storytelling to change the world. Just like our partners, we strive to be known as leaders in the sustainability movement. We are committed to reducing our carbon footprint and leaving the world a better place for future generations by aligning with innovative organizations who lead by example. What inspires your work? At Selvavision, we draw inspiration from the biodiversity of la selva (the rainforest). Just like in the rainforest, everything on Earth is interconnected and self-sustaining – from energy conservation to empowering women to operating transparently. We are inspired by organizations committed to social responsibility, whose bottom line is not only focused on profits, but also people, planet, and purpose. Let's make the world a better place. 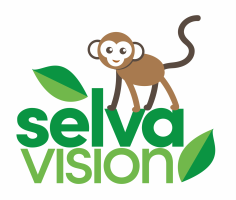 Selvavision practices philanthropy by partnering with non-profit organizations working to restore natural habitats locally and globally. No matter what your industry, each time you choose to work with Selvavision, we make a donation to conservation organizations so they can continue their work to restore the Earth. We love Mother Earth. Selvavision's founder Kristin Tieche hand selects a team of experienced professionals and consultants with unique expertise, who are also committed to sustainable business practice.